Mike Beard has been with Northwest Outfitters since 2006 and an owner since 2010. This Idaho native has spent his life on the streams and rivers throughout the region, and he’s willing to share what he knows. Catch Mike’s River Reports to find out what’s biting and where! You can get year-round casting instruction from Mike on the beautiful Village at Riverstone casting pond across from the shop. Learn more about this special one-on-one instruction. Mike guides the Spokane, Clark Fork, Upper Crab Creek, and our popular excursions on the St. Joe, the Coeur d’Alene and the Snake, along with many others. 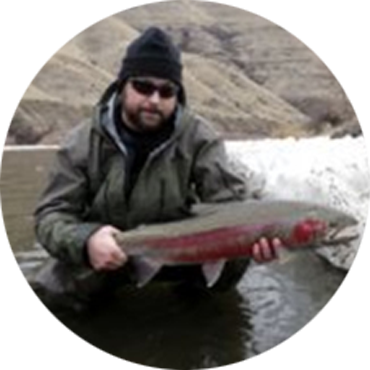 Call today to book Mike as your next fly-fishing guide. Find out why fish ‘Fear the Beard’ on your next exciting excursion with Mike Beard.